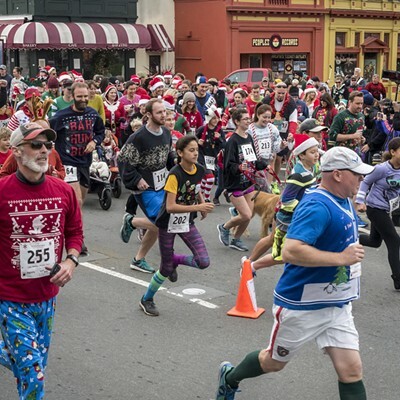 The crowd of racers putting the "sweat" in "sweater" during Sunday's Ugly Sweater Run. 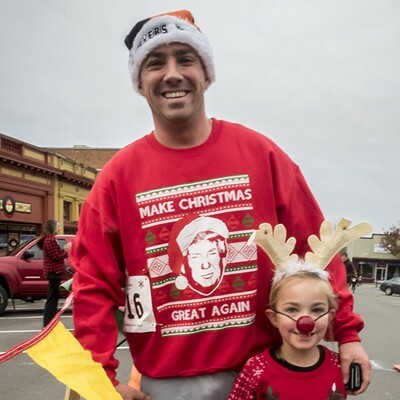 Some things are so ugly they're cute. 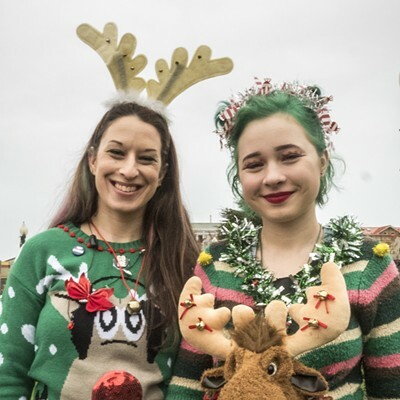 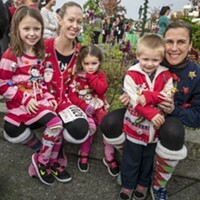 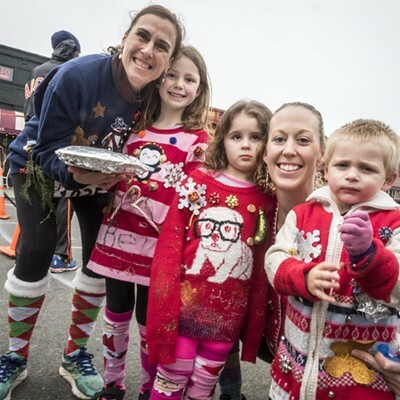 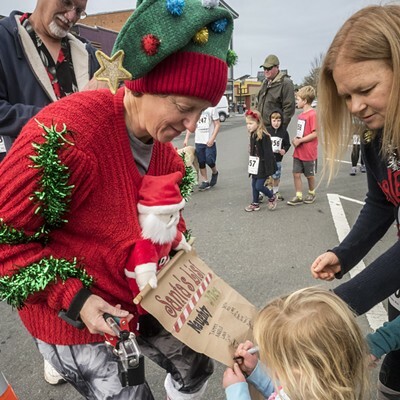 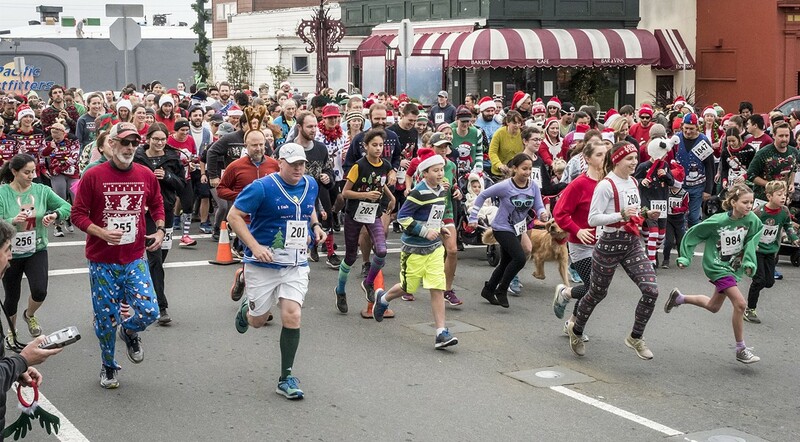 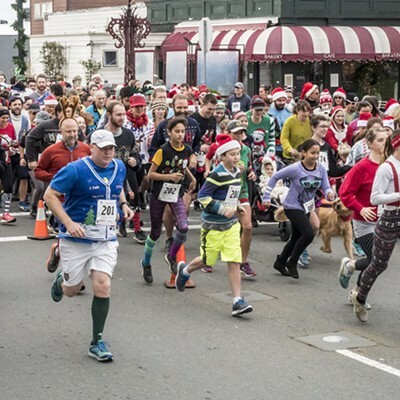 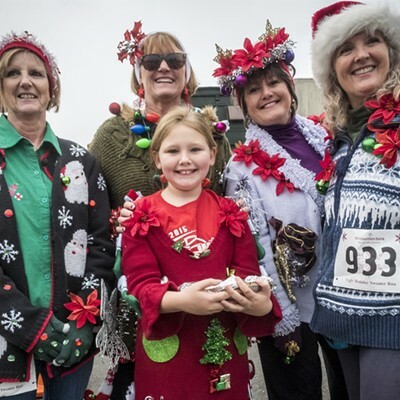 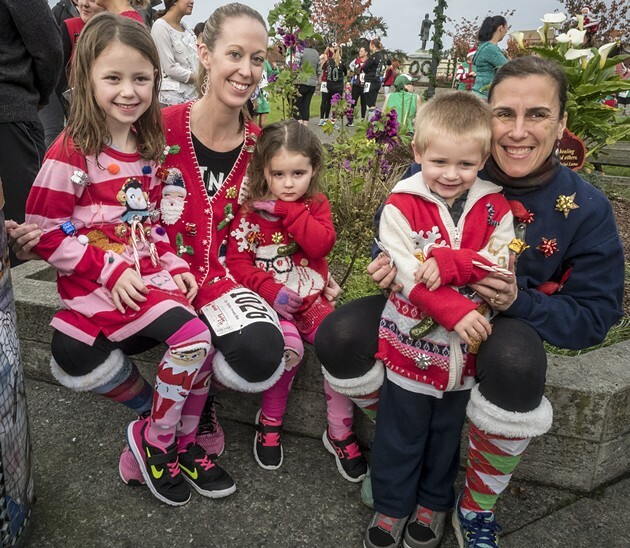 On Sunday, Dec. 4, nearly 300 people leaned into the ugly, donning bright, lumpy, spangly and snowman-festooned pullovers and cardigans for the Ugly Holiday Sweater Fun Run. 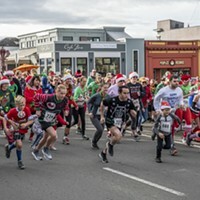 Starting at the Arcata Plaza, the wild and wooly 1-mile or 5-kilometer race organized by Arcata Main Street benefitted Humboldt Educare. 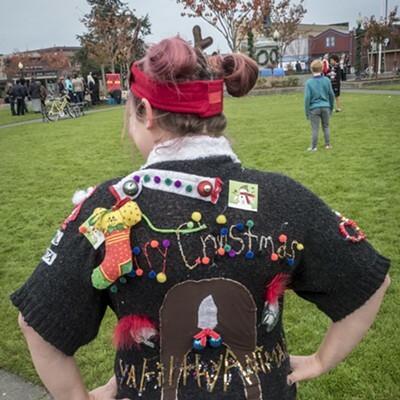 Photographer Mark Larson was right in the fraying fray, snagging shots of the knitted nuttiness. 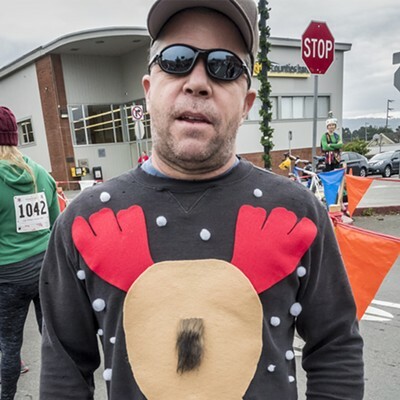 Behold its tacky majesty in his slideshow.